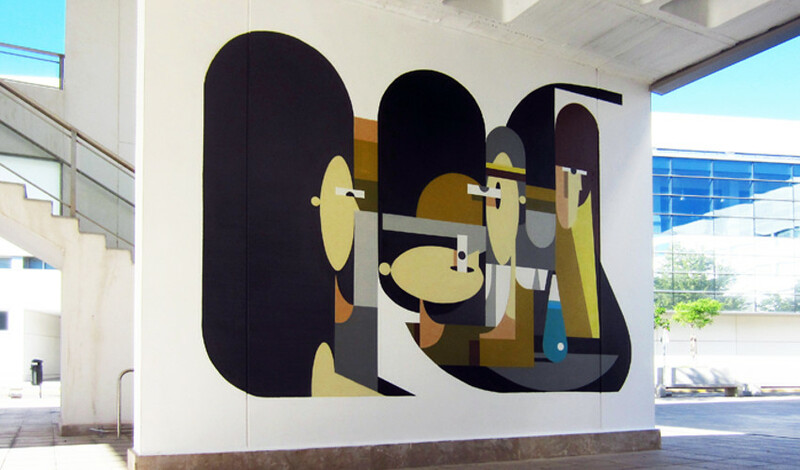 Alexey Luchko, working under alias Luka, is a highly talented Russian street artist and illustrator who fuses abstract characters with organic shapes and geometric compositions in his work. The artist, who has been active on the streets for more than fifteen years, has applied his unique style to walls, canvases, collages, assemblages, and digital works. Born in Moscow in 1983, he studied architecture for 6 years and thus his forms are very structural in nature. He started with graffiti, later switched to the abstract graphic forms, always using color as the prime element in his work. Over the years he perfected style based on the clear geometrical forms and complex post-constructivist compositions. 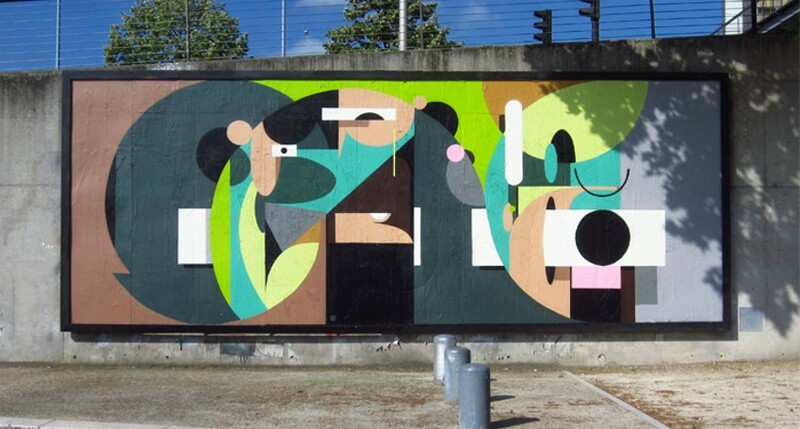 Whether he is using spray cans, or more traditional mediums and techniques such as acrylic paints, collage or sculpture, he produces recognizable compositions in which the colourful palette, and geometric shapes interact, developing a sort of puzzle that attract viewers to reconstruct and deduce the images. Although at first glance his pieces look like abstract paintings, all of them are composed of minimalistic characters and hidden stories. Humanly faces and the landscapes in non-abstract forms are only suggested in order to involve viewers into noticing the image through the activation of imagination. Incredibly clean lines, the pairing of muted tones, and rounded compositions all coincide to form organic shapes and geometrical large-scale pieces. 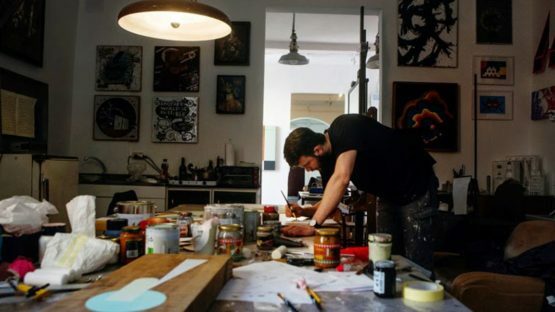 He is represented by Wunderkammern, contemporary art gallery that has two venues: Rome and Milan. 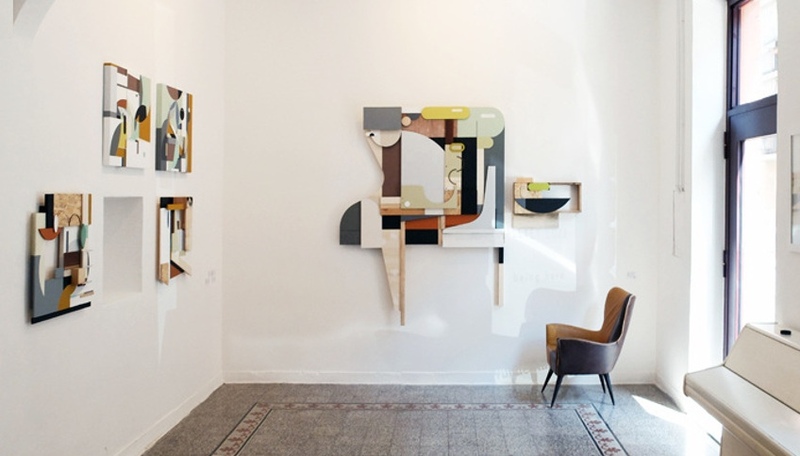 In April 2015 Luka had solo show titled Being here in Rome-based gallery. The show was the fourth one of Wunderkammern’s artistic series Limitless, and followed the solo shows by Sam3 (Spain), L’Atlas (France) and Sten Lex (Italy). 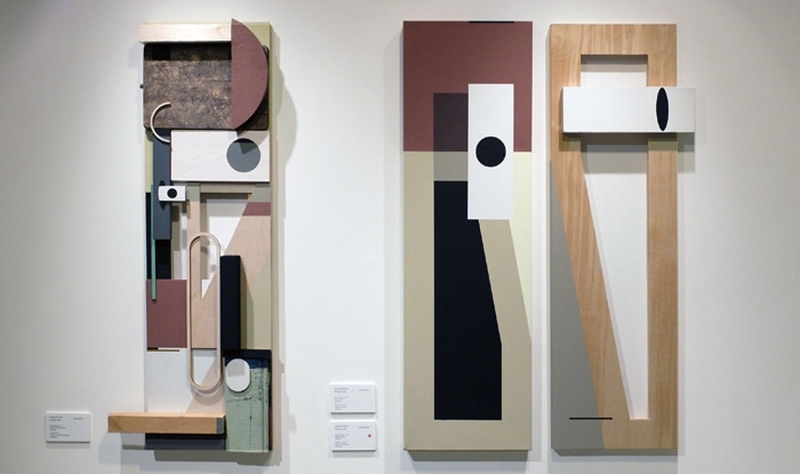 For the first time in Rome, he presented the series of paper collages, paintings on canvas, wooden sculptures, wood and plywood assemblages, all of which were produced specifically for the Being here show. Seen as one of the most promising young Russian artists, he already worked with Wunderkammern, producing a large mural Straniera in 2014. His work has also been included in exhibitions in Russia, France, the Netherlands and the United States, among others. He participated in festivals like Art-ovrag festival, Vyksa Poliniza, Russia; Poliniza festival, Valenzia, Spain; LGZ Festival, Moscow, Russia; and Memorie Urbane festival, Terracina, Italy; to name a few. Alexey Luka lives and works in Moscow.